I wasn’t the only one with Potbelly on my mind, as I found myself in a decently long line, and it wasn’t hard to see why. Airport prices are usually jacked up, but Potbelly was incredibly reasonable and while likely not as cheap as six years ago in Ann Arbor, still damn cheap. Fortunately, the line gave me time to decide which sandwich I wanted. In the end, I opted for the Pizza Sandwich, which came with pepperoni, marinara, provolone, mushrooms and Italian seasonings. I got it on their fresh white bread, with no mushrooms and none of the additional fixings offered. 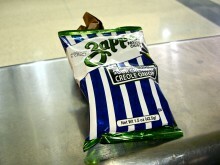 Then I grabbed a bag of Zapp’s Sour Cream and Creole Onion Chips for company. The sandwich was just as I remembered, a combination of tasty ingredients surrounded by a delicious roll that was at once crunchy and soft. The chips were of the kettle variety and made for a nice companion to my sandwich. 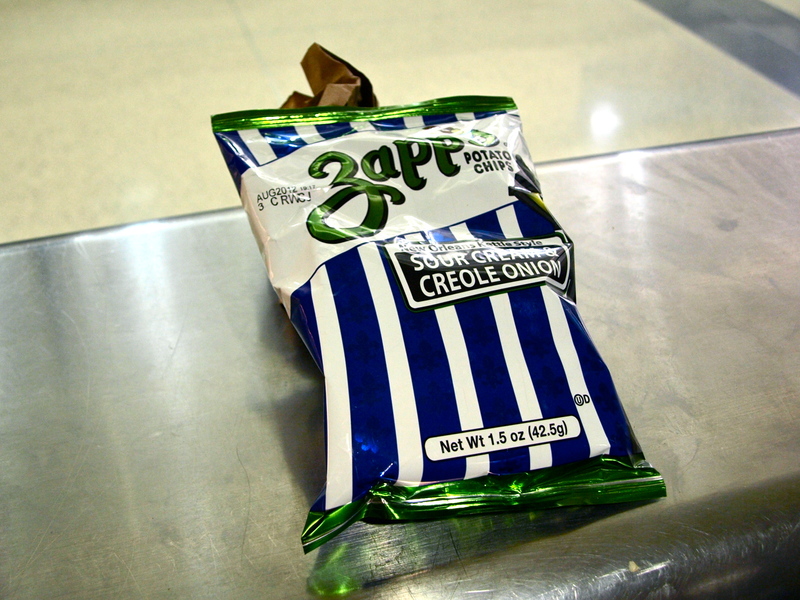 I’m was unable to discern the difference between Creole onion and regular onion, but whatever the onion powder used, it tasted just fine. While some may have more of a nostalgia or affinity to Potbelly, I can’t say that I really do. 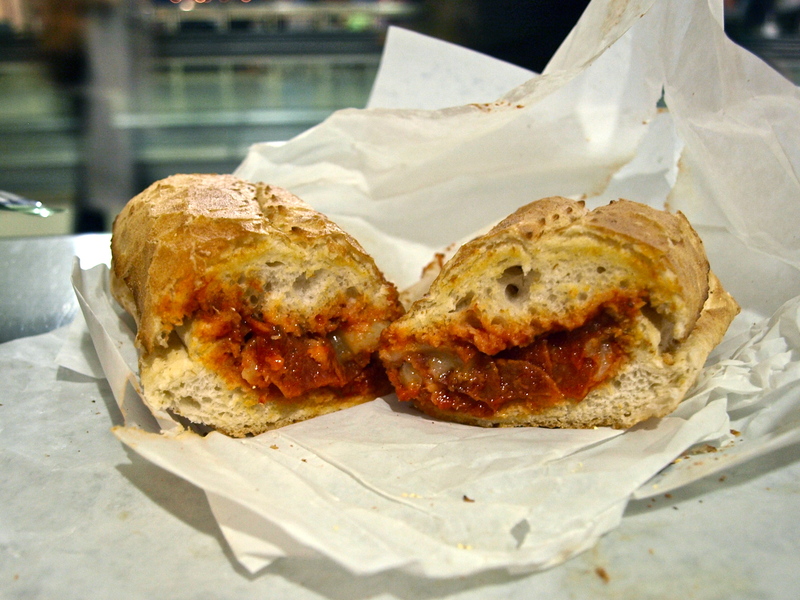 Sure, it’s a good sandwich and definitely a step above your regular chain sandwich shops, but it doesn’t ooze creativity or have a special sandwich is overwhelmingly better than those I can get elsewhere. 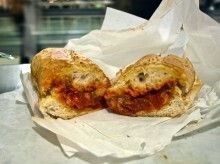 Yet, it has its place in the grand scheme of sandwich shops and for that I am appreciative. Plus, the place certainly cannot be beat at Midway.